Alma and D. W. Vaughn graduated from Evansville College in 1934 and 1931 respectively. Alma was a lifetime trustee, serving for 46 years. She was involved in many aspects of the University and the following are just a few: founding member of the UE Theatre Society, president of the Samuel Johnson Society, member of the Friends of Art and Friends of UE Music organizations and a member of the Harlaxton Society. 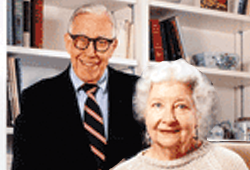 Alma and D. W. both had distinguished careers as students and alumni. D. W. was presented with a Medal of Honor. 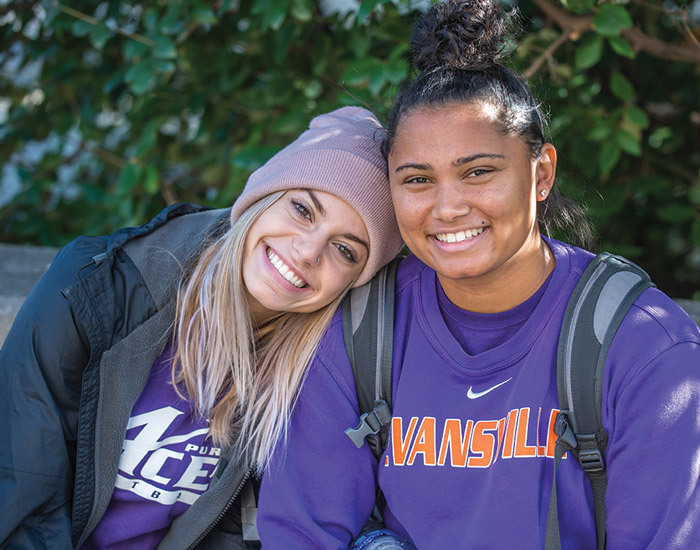 Additionally, they were involved in and championed numerous fundraising campaigns which directly affected UE's financial strength and academic well-being. Alma and D. W. were happily married for 59 years. D. W. was chairman of the board of Southern Indiana Gas and Electric Company and Alma had a distinct and effective role in the Evansville community. The University was an important part of their lives for more than 70 years. Alma died in 2004; D. W. preceded her in death in 1998. Their fondness and connection to the University continues today through the establishment of an endowed scholarship which they included in their estate plans. Today, their scholarship continues to provide critical financial assistance for students majoring in arts and sciences. "We are forever grateful to the Vaughns."